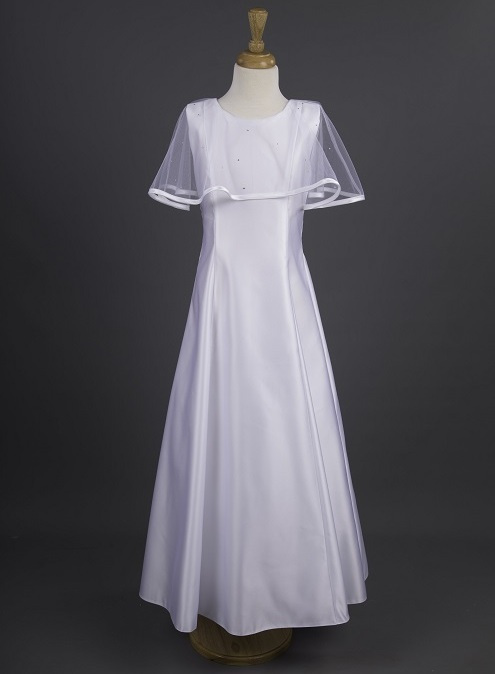 Girls white princess capelet communion dress named Carrie by Millie Grace, perfect for your girls holy communion day. Carrie Dress: This full length satin communion dress is of a beautiful princess line style. Featuring a tulle capelet edged with satin trim and decorated with Swarovski crystals.